The Open University of Hong Kong (OUHK) is certainly a success story, not only as a provider of quality higher education, but also as a well-managed self-financing entity. From a small institution with humble beginnings, the OUHK has evolved from primarily a distance learning institution to become a full-fledged university providing full-time undergraduate and postgraduate programmes as well as part-time programmes in just three decades. Through nurturing talent to meet our society’s needs, we have made longstanding contributions to the advancement of Hong Kong’s economy. Today, we are the largest self-financing university in Hong Kong, grooming more than 120,000 graduates and ranks sixth among local universities in terms of full-time undergraduate number. The OUHK is a pioneer of open and distance education. Established by the Government in 1989 as The Open Learning Institute of Hong Kong (OLI), we have striven to achieve our mission of “Education for All”, making quality and flexible further education opportunities available to working adults. After years of steady development, the OUHK attained university title in May 1997, which is a testament to the wide recognition of our academic accomplishments and contributions to higher education. In line with the Government’s education reform, we launched the first full-time, face-to-face programmes – five Associate Degree programmes in 2001 and a Bachelor’s degree in 2003. These programmes have attracted an increasing number of fresh secondary school leavers since then. The OUHK’s participation in the Government’s Joint University Programmes Admissions System in 2007 is another significant milestone that puts us on par with other established UGC institutions across Hong Kong. Parallel with this growth has been our programme development. From a relatively small number of part-time courses offered at the beginnings, we have undergone continuous and vigorous expansion in the range, scope and quality of our programme offerings. Today, we offer around 220 programmes made up of some 800 full-time and part-time courses. And this exponential growth has been a very focused one – we respond dynamically to market trends by tailoring our professional programmes to industry needs. Examples include our signature programmes in Creative Arts, Testing and Certification, Nursing, Energy and Environmental Studies, Early Childhood Education, Psychology, Corporate Governance and Hospitality Management. Our efforts are also recognized by the Government. Since 2015, some of our full-time programmes have been included in the Government’s Study Subsidy Scheme for Designated Professions/Sectors (SSSDP), which subsidizes students on programmes offered by self-financing institutions that help meet Hong Kong’s manpower shortages in specific industries. In 2018–19, we had been allocated a third of the total quota of subsidized places, the largest share among our counterparts. This reflects not only the Government’s endorsement of our programme quality, but also our success in making available relevant professional programmes that meet the pressing needs of Hong Kong. One of the most popular programmes is our nursing studies. Since the launch of the two undergraduate degree programmes in nursing in 2005, enrolment has been increasing and the OUHK now produces the largest number of nursing graduates of any institution in Hong Kong each year. 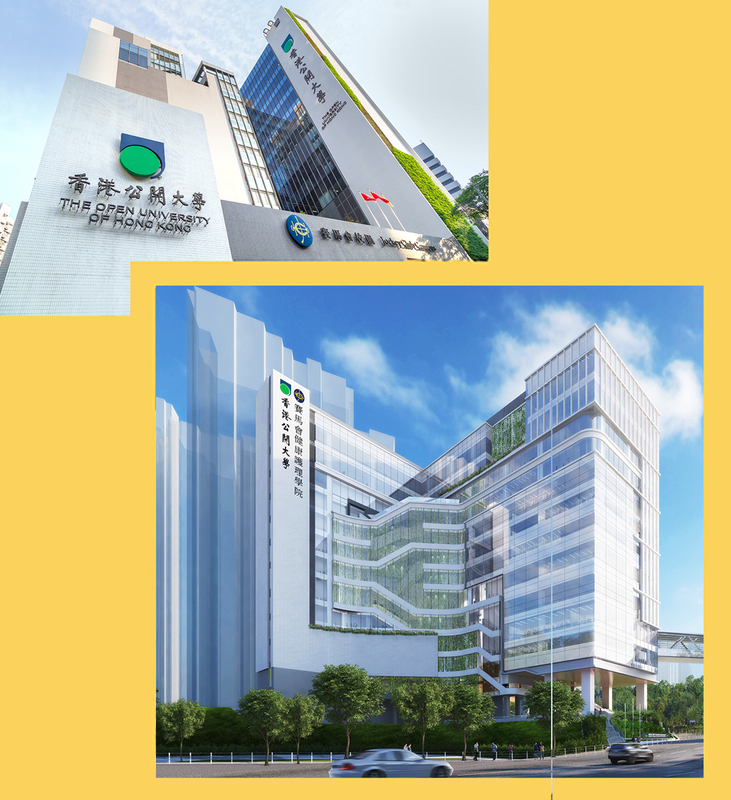 To cater for the rapid growth, the OUHK has undertaken significant campus expansion over the years. In 1996, the Institution moved to Ho Man Tin. In 2000, the OUHK’s first off-campus learning centre opened in Shun Tak Centre in Sheung Wan as the headquarters of Li Ka Shing Institute of Professional and Continuing Education (LiPACE). In 2009, the OUHK completed Phase II of the Main Campus. In 2013, LiPACE was moved to the Kwai Hing Learning Centre, which provides 3 times the space of the original premises. In 2014, the Jockey Club Campus was opened to house our new programmes in Creative Arts, Testing and Certification as well as Nursing and Healthcare. The expansion has provided not only more space for our growing student population, but also new state-of-the-art facilities to serve the needs of our programmes. Recently, in view of the aging population and the rising needs for healthcare services in the community, the University has started a new campus project – the OUHK Jockey Club Institute of Healthcare (IOH). Besides the Government’s land grant and interest-free start-up loan, the OUHK has received a donation of HK$281 million from The Hong Kong Jockey Club Charities Trust as well as valuable contributions from many other donors towards the project. Upon completion in 2020, the IOH will house all our existing and new health-related programmes plus a suite of other facilities to enhance students’ learning experience. It will also become a health education and community health care hub in Western Kowloon area. Indeed, the OUHK has undergone rapid development on all fronts. Advanced facilities have been set up to facilitate specialized teaching and learning; a wide range of internship and exchange opportunities are provided for students to receive early engagement for career and all-round development; and our research is flourishing. 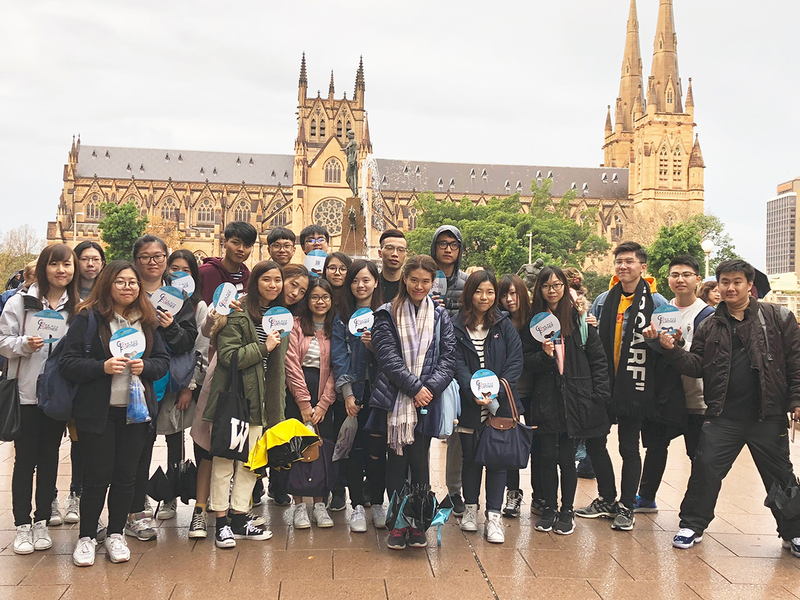 Many of our students won prestigious competitions in local and international arenas, stood out in creative, scientific and business endeavours, and they have been valued by a wide range of employers, and become pillars of their profession and of the community. These impressive successes would not have been possible without the dedication of the whole OUHK community as well as the support from the Government and the community at large. As we celebrate our 30th Anniversary and count our blessings over the years, we also look ahead to new opportunities and challenges. With shared vision and commitment, we are well prepared to go further to bring the University to new heights in the years to come.